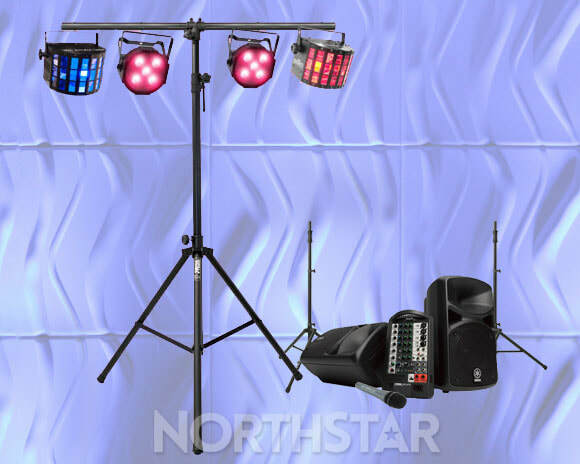 No need for a DJ with our sound and light party packs. 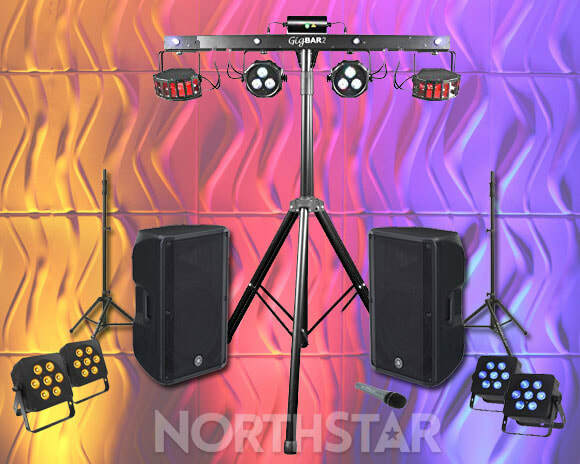 Whether you are planning a house party or a celebration in a larger venue, they include all you need to really get things started. 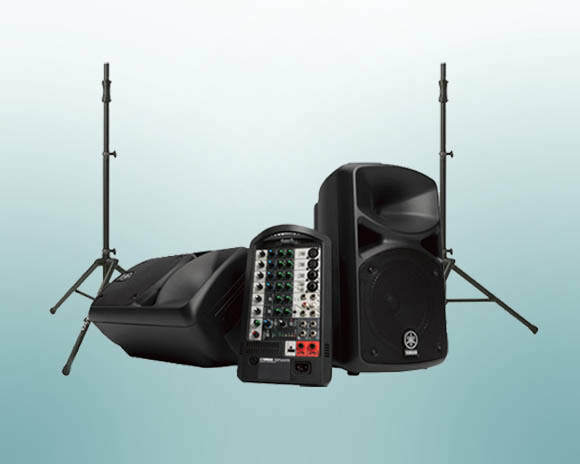 Simply hook up your laptop, tablet or mobile to our high quality sound systems and play your lovingly crafted playlists. 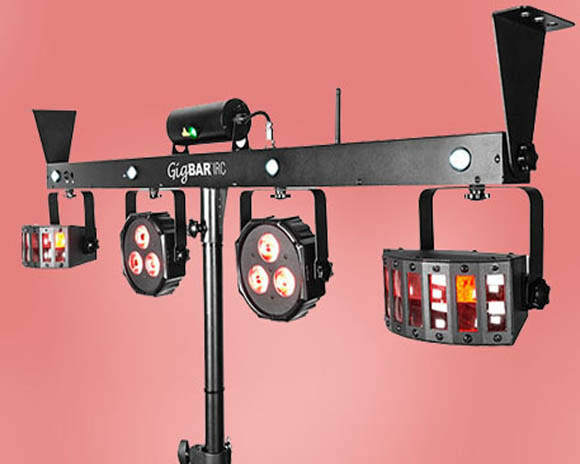 The professional lighting systems react to the music. 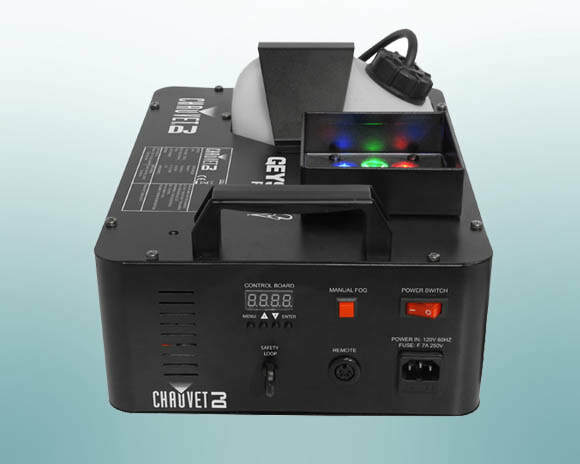 You can also easily connect microphones, instruments and DJ equipment if required. 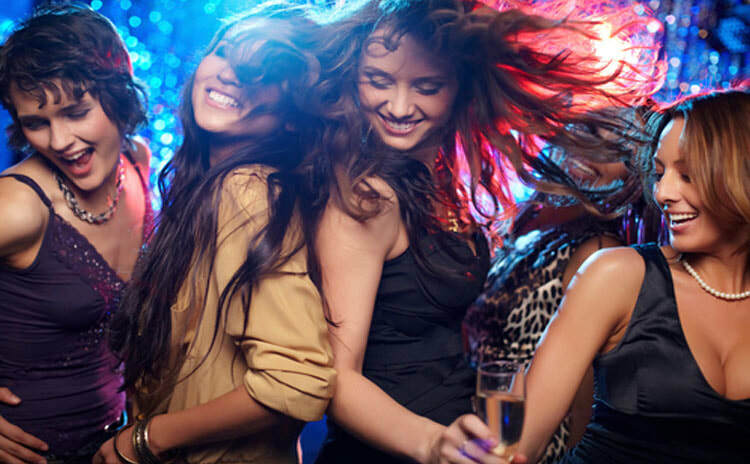 We have put together some popular ready made packages but if you have something specific in mind please contact us and we will be happy to tailor a package for your event. 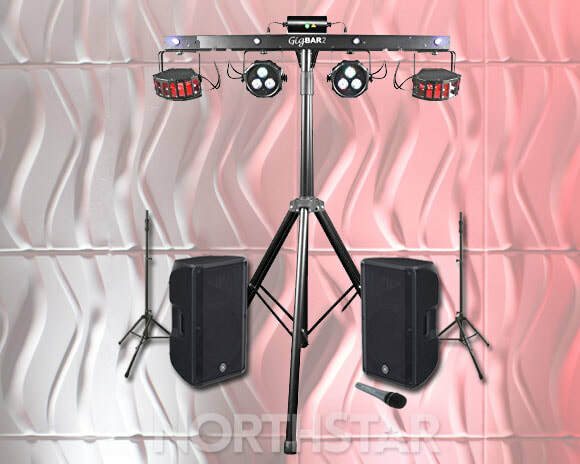 Suitable for larger venues with up to 250 people, this package combines our most powerful Yamaha DBR15 speakers, GigBAR party lighting system and set of 4 LED up lighters.